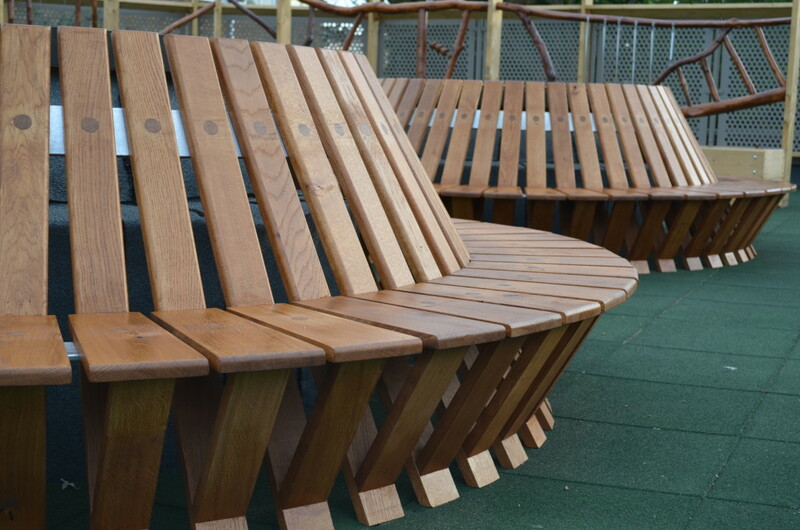 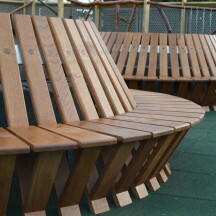 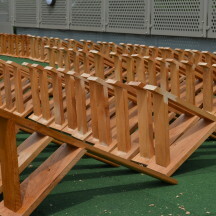 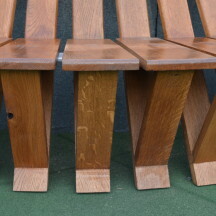 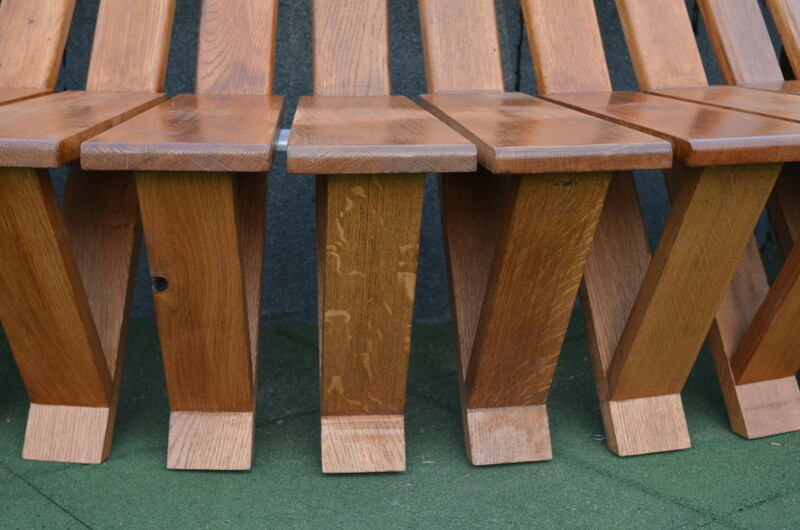 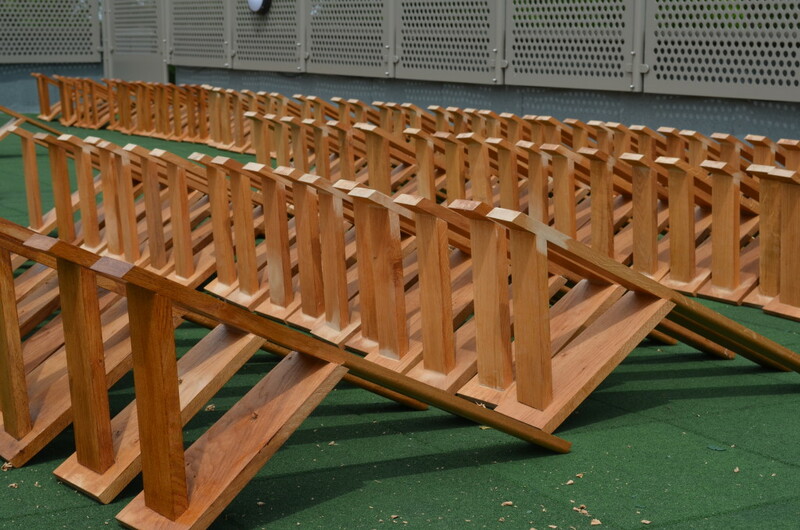 Self supporting English oak benches build from 200 repeating sections glued together with tenons and connected by rolled steel bars. 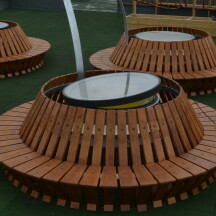 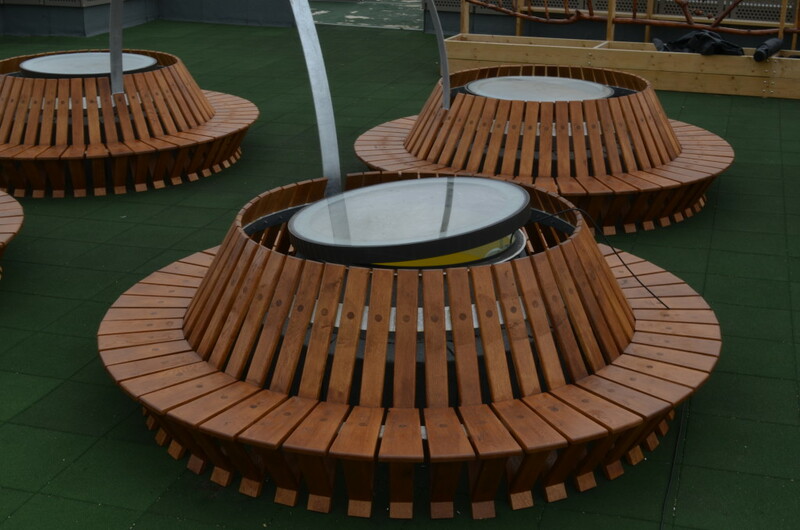 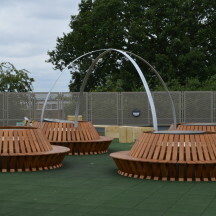 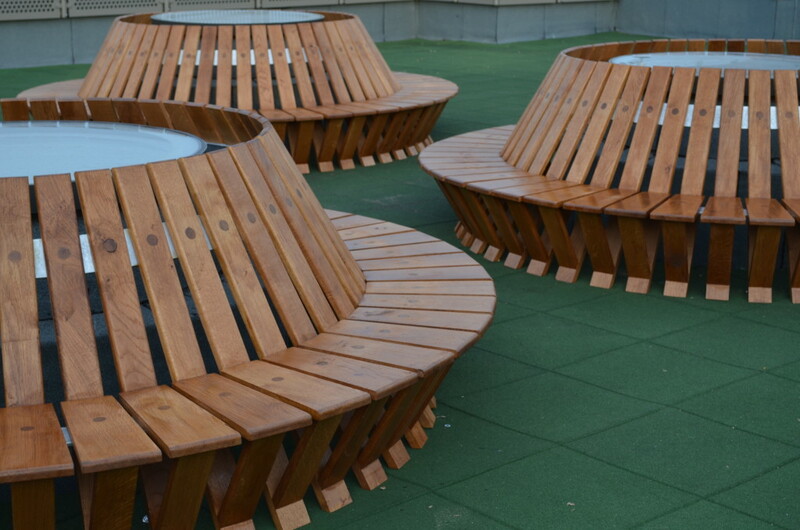 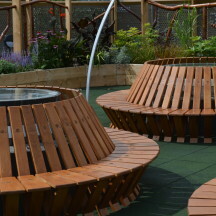 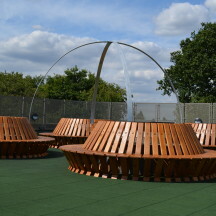 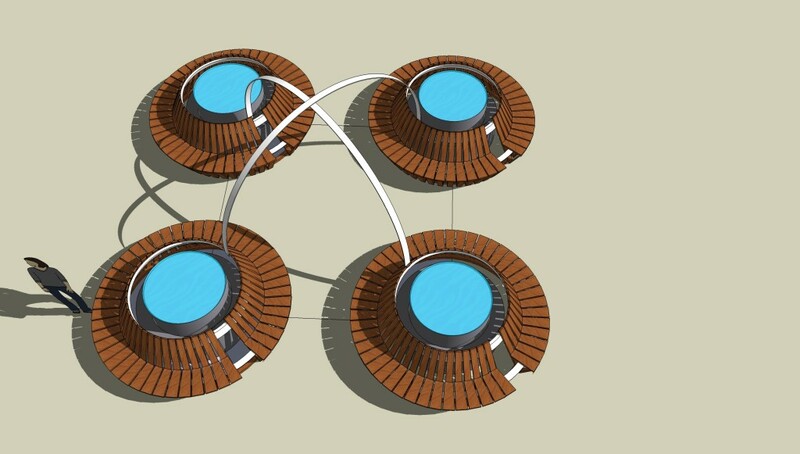 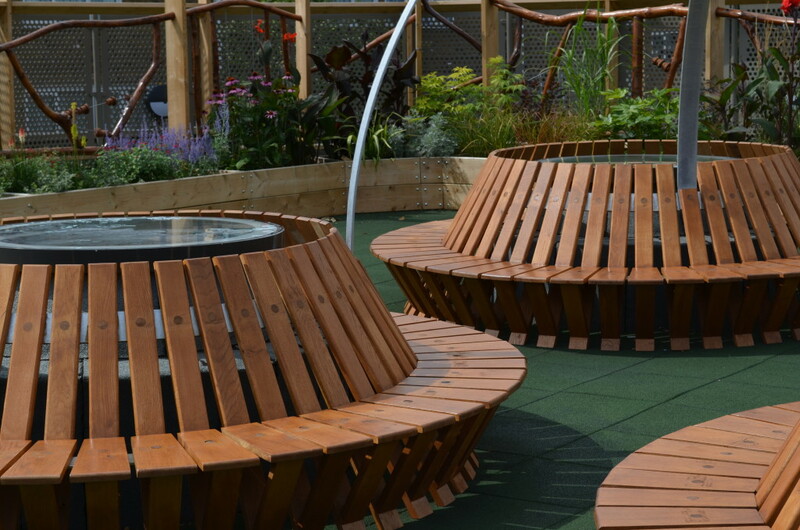 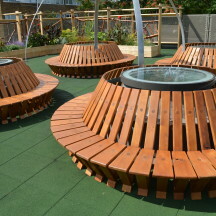 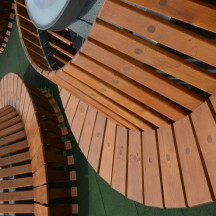 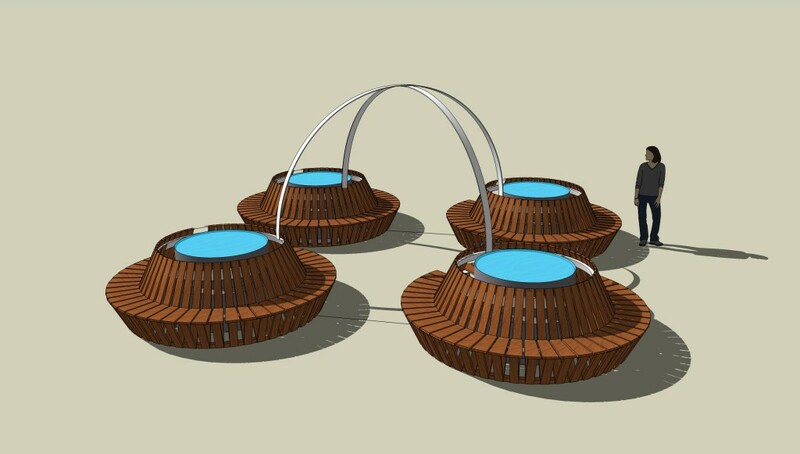 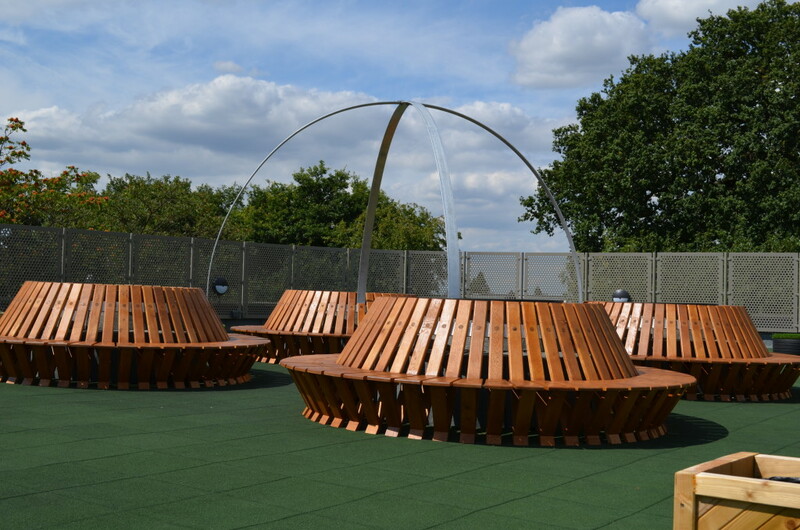 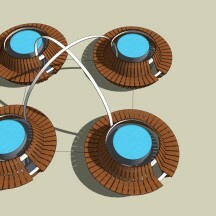 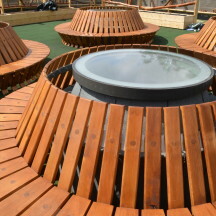 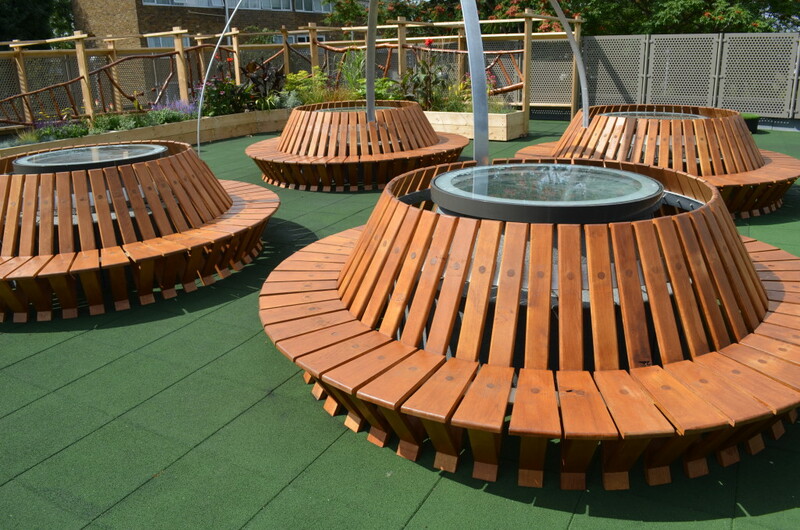 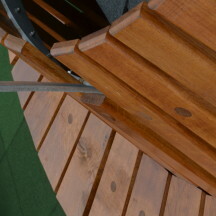 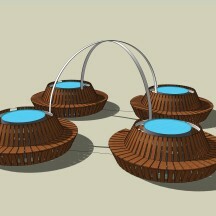 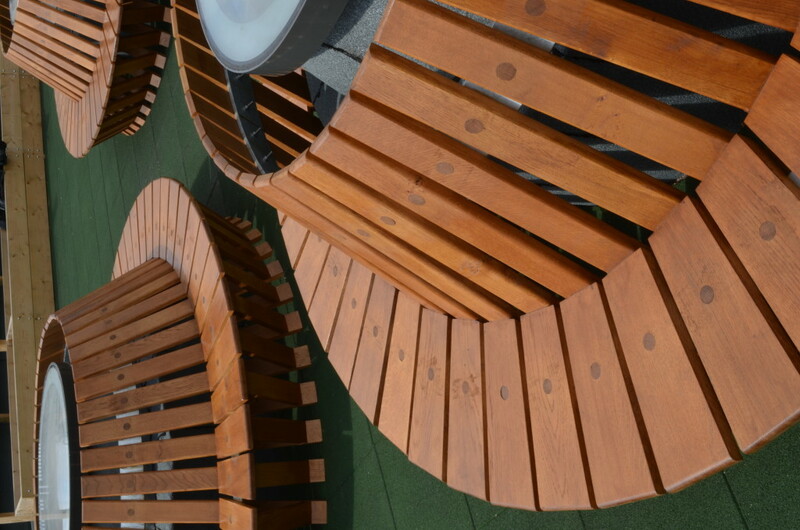 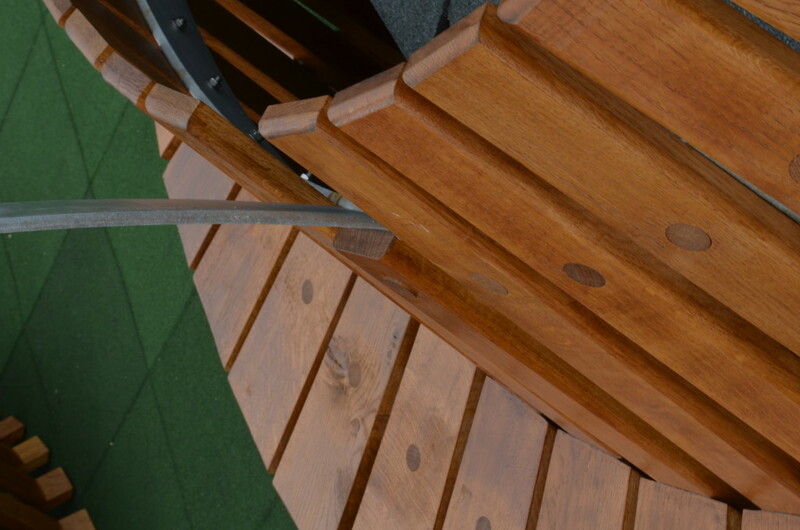 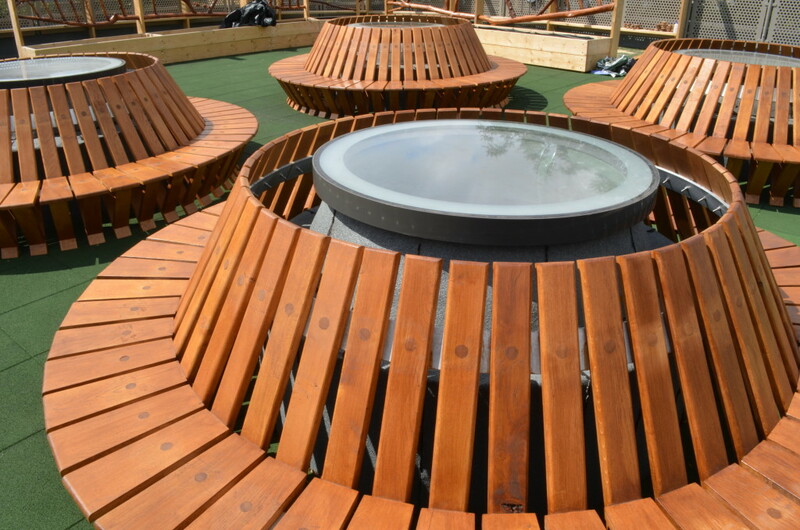 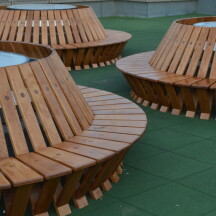 The 4 circular sections are connected by large steel bars which will eventually have plants growing up them to create an inclosed space between the benches. 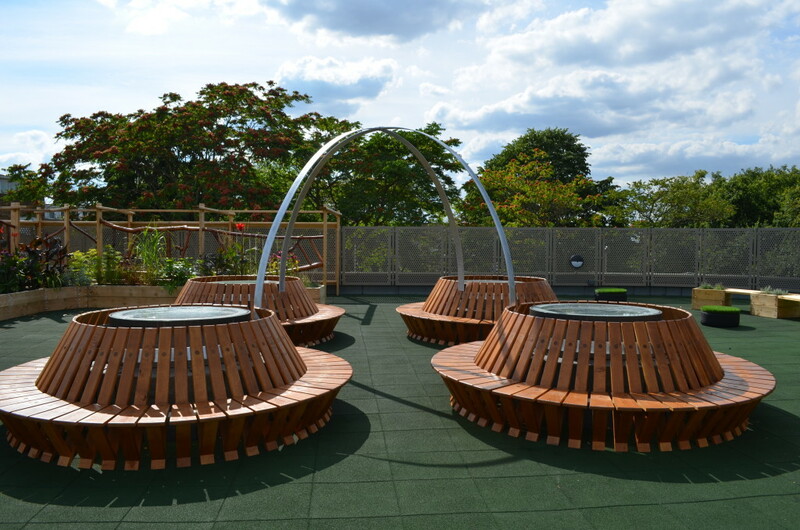 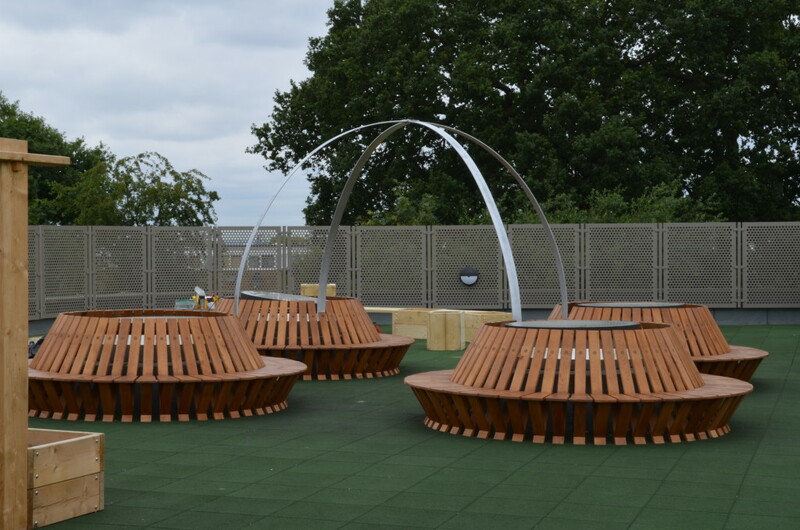 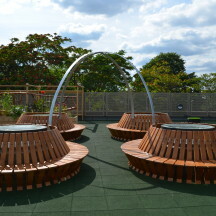 The benches positioned around roof-lights above Henry Cavendish Primary School.